With any occasion comes the big question : What’s for dessert ? With decorated cake pops and cookies topping the list, we have decided to give our yummy, fudgey, chocolaty and warm brownies all the attention it deserves. 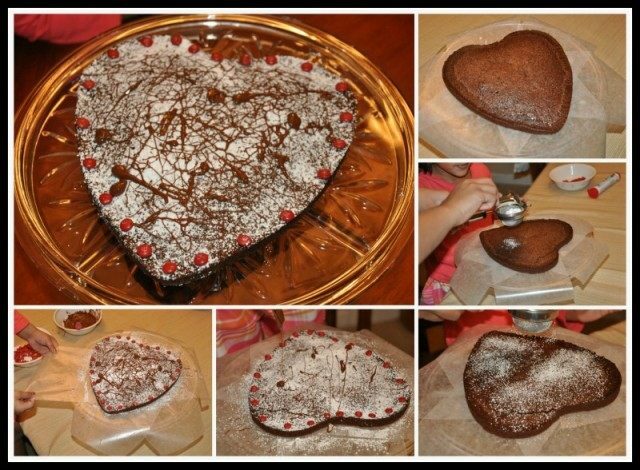 Our Valentine’s Day treat is our home favorite Brownies. Now I have always said, when you have kids helping you in the kitchen, it’s perfectly fine in my book to take some necessary short-cuts. But if that’s not for you, go ahead and follow your owun family or favorite recipe. Me ? I’m sticking to Betty Crocker Brownie Mix ! They are just as fabulous and quick and easy to whip up. Did you notice my Heart shaped Pan? 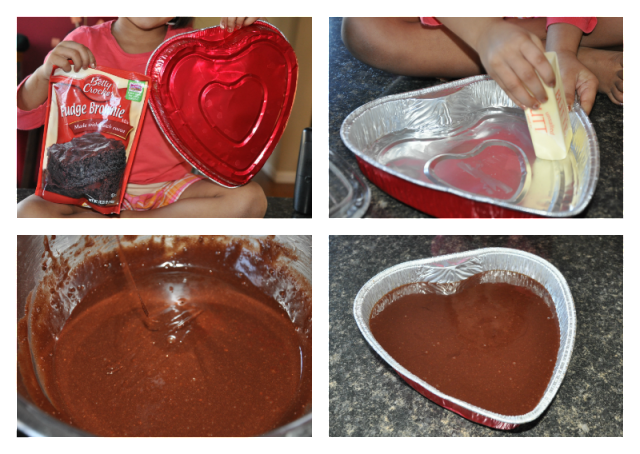 Well, I followed the directions on the package and baked the Valentine brownie.I also let my pre schooler help me in all the steps: measuring, mixing and all. Baking with my daughter brings me joy to both of us while helping her learn various skills. 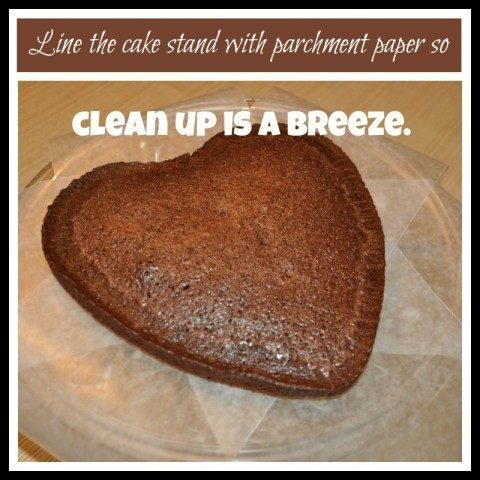 I cooled the Valentine brownie completely and lined my stand with parchment paper so I don’t have to worry about the mess from all the decorating ! I placed the Valentine brownie on the sheet. 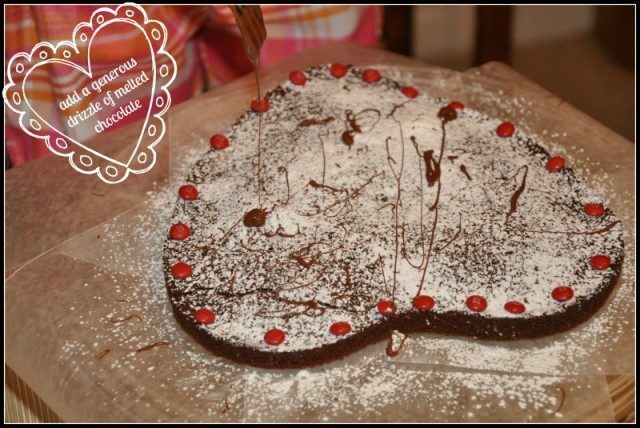 Since my little girl loves to cook and bake with me, I let her decide what she wants to decorate her Valentine brownie with. We chose powdered sugar and M&M’s. Anytime is a learning time. 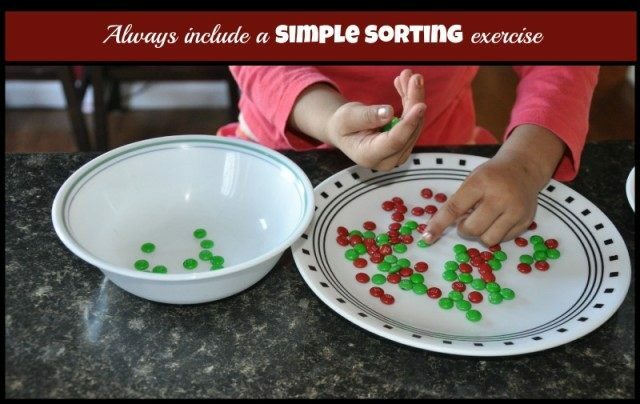 I used to opportunity to do a simple color sorting with the M&M’s and measures with the powdered sugar. 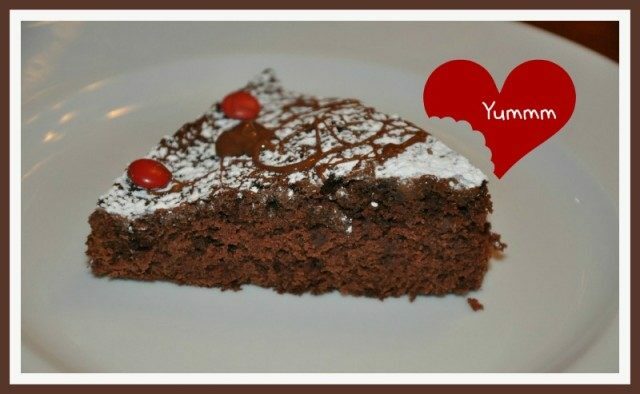 A scrumptious slice for the kiddo. Our Pinterest Valentine’s day crafts and activities board also has a ton of inspiration for you!